February is Responsible Pet Owners Month, so let’s take this time to focus on ways to make our cats’ lives better! Fat cats aren’t just Wall Street bankers. They are living right in our homes, and they are a one of the biggest problems veterinarians see. Obesity is a growing problem in cats. The Association for Pet Obesity Prevention estimates that nearly 58 percent of cats in the U.S. are overweight. There’s a good chance their life span will be shortened because they are more prone to medical conditions like arthritis, diabetes mellitus, and fatty liver syndrome. If your cat has put on a few pounds, well, you can probably empathize. You can also help them lose weight the old-fashioned way: diet and exercise. Getting them moving is especially important. 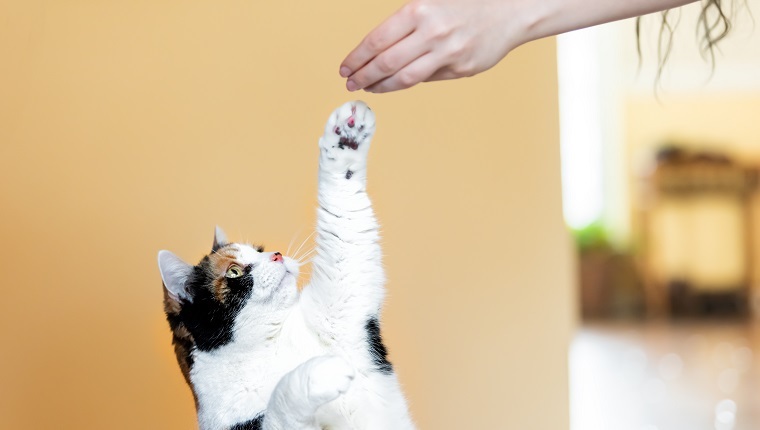 You might not be able to take your cat jogging–although you can teach them to walk on a treadmill or cat wheel–but there are plenty of creative ways to add exercise to your cat’s life. Bonus: they’ll be less bored and less inclined to shred your sofa. First, you should always ask your veterinarian before starting your cat on an exercise program. You don’t want to injure them or give them more than they can handle right away. Cats have short attention spans, which can make it tough to train them for an exercise program. Keep sessions short. Two to five minutes a few times a day is a great start. Furthermore, remember that cats are nocturnal. They’ll be more interested in playing once the sun goes down. Most important, introduce exercise gently and gradually. Obese cats can injure their joints if you try to get them to do too much too quickly. Hold off on the jumping and stair running until your cat has lost some weight. So how can you help your cat get out of life in the fat lane? Cats are predators, so work with their ability and desire to stalk and chase. Look for toys and treats that will encourage them to actively chase or bat at objects. Think electronic mice, balls that light up when they move, laser pointers, and catnip-filled toys that make a crinkling sound when pounced on. If your tastes are simpler, toss a Ping Pong ball in the bathtub to simulate a feline hockey rink. If you have a laser pointer, aim it down the hall, up and down the stairs, onto the furniture, or up the wall for a little vertical action. Beyond the basic red dot, some laser pointers can produce different images, including butterflies, mice and stars. Be careful not to shine it in your cat’s eyes. Wand- and fishing pole-type toys are favorites, too. Some fishing-pole toys mimic real prey with a fly reel that has a catnip-stuffed mouse attached at the end. Cast it down the hall, reel it in, and watch your cat go wild chasing it. 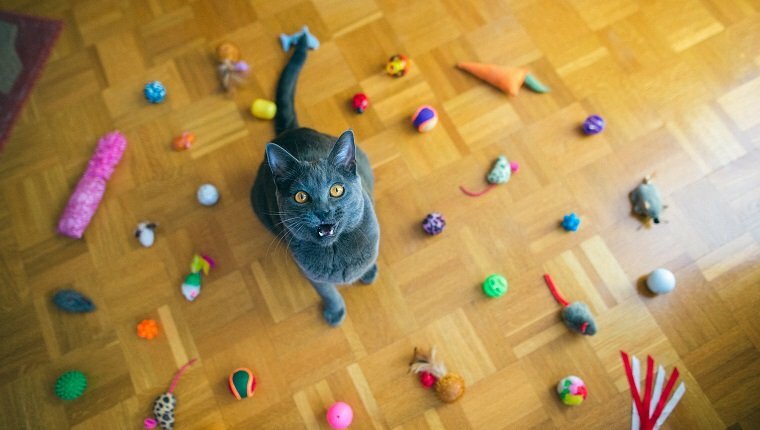 If your cat yawns at toys, appeal to their self-interest: food and its whereabouts. Instead of leaving meals in one area, put small amounts of their food throughout the house. Choose areas where the cat will have to do a little work to get to it: on a windowsill, on the top ledge of the cat tree, upstairs, downstairs, on a bathroom sink. The possibilities are endless. Lay a trail for your cat to follow and change it around every once in a while so they don’t get bored. You can also place their food inside one of the various food puzzles made for cats. They’ll have to push the toy around to get it to release their meal. 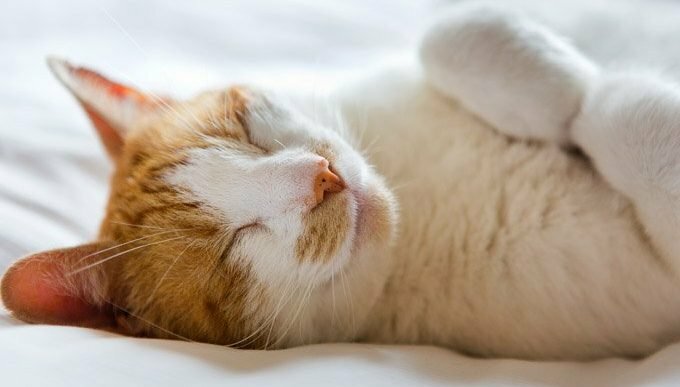 How will you know if your cat is back in good shape? Cats are athletes and their body condition should show it. The ideal cat is lean and muscular with an obvious waistline. Check out this article for some more tips on finding out if your cat is overweight. You should also make an appointment with your vet if you think your cat has gained a few too many extra pounds. What other advice do you have for cat owners in Responsible Pet Owners Month? How do you keep your cat in shape? Let us know in the comments below!